Half of home fire deaths result from fires reported between 11 p.m. and 7 a.m. when most people are asleep. Smoke spreads fast when there is a fire, but smoke alarms save lives by giving you time to get out. In fact, working smoke alarms cut the chances of dying in half in a reported fire. This year's Fire Prevention Week campaign’s key message is to install smoke alarms in every bedroom, outside each separate sleeping area, and on every level of your home, including the basement. 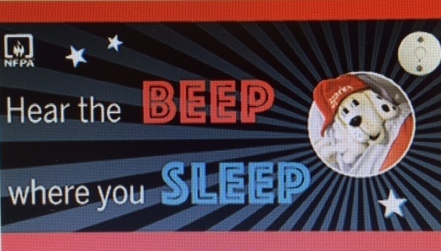 Please click to visit NFPA's Smoke Alarm Central for more information to better understand the life-saving value of home smoke alarms.